Yearhammer is upon us! 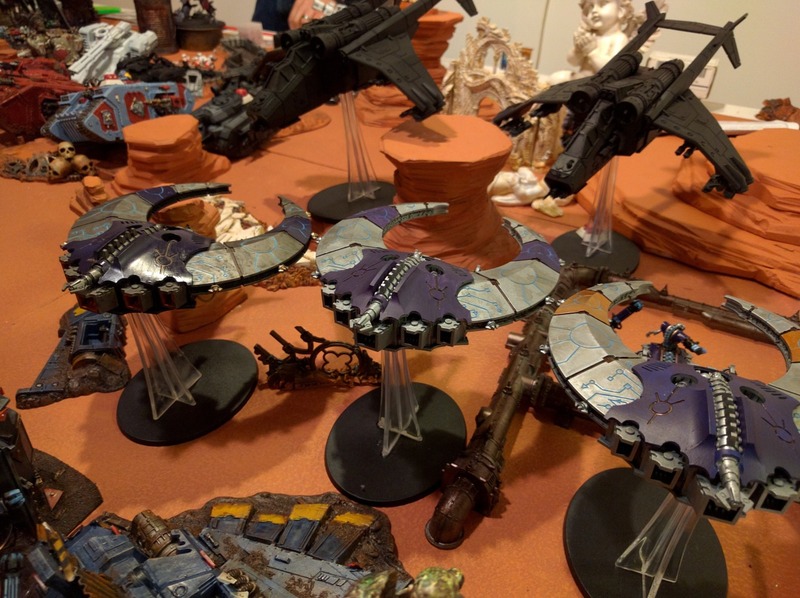 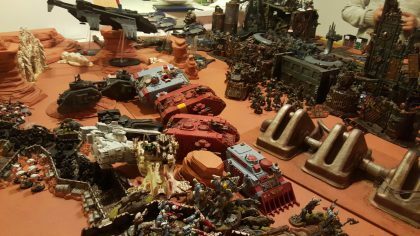 Our inaugural group wide mega battle Apocolypse game helps us kick off the new year of hobby greatness! 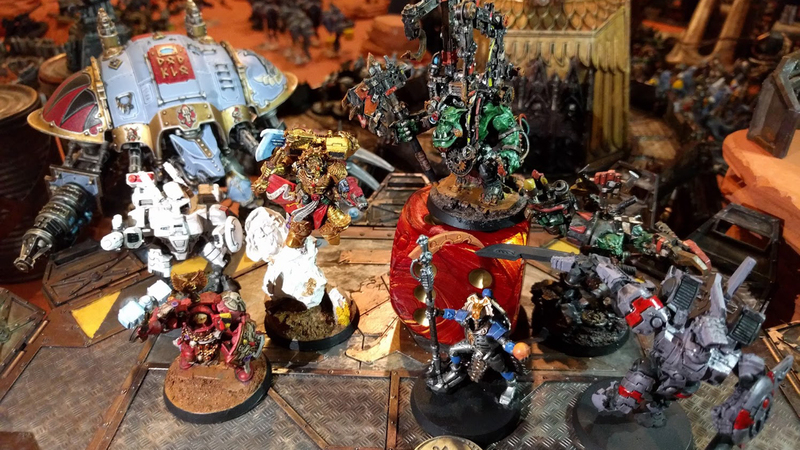 Points: Matched Play – 12,500 pts for each side. 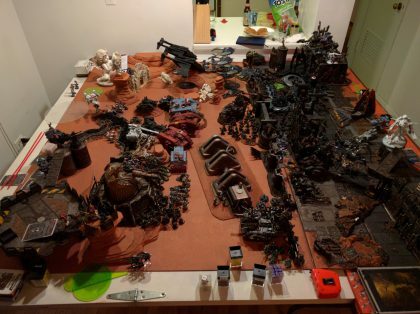 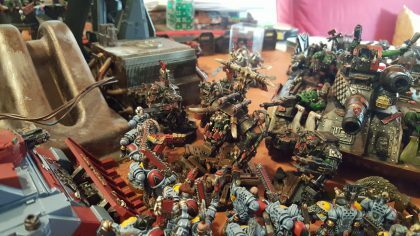 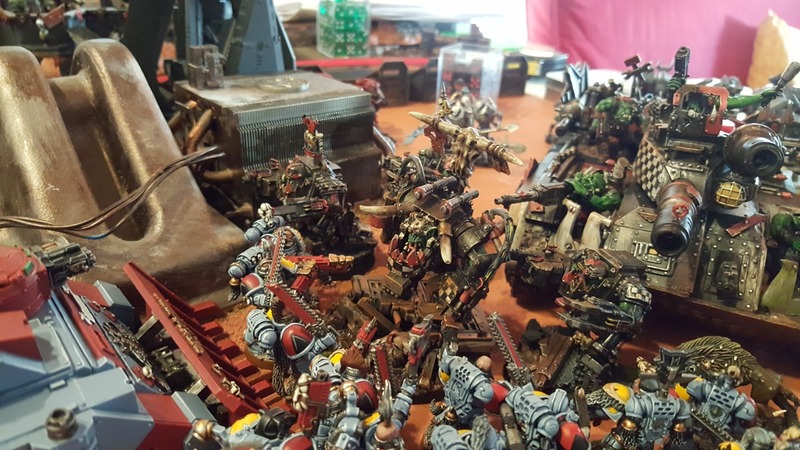 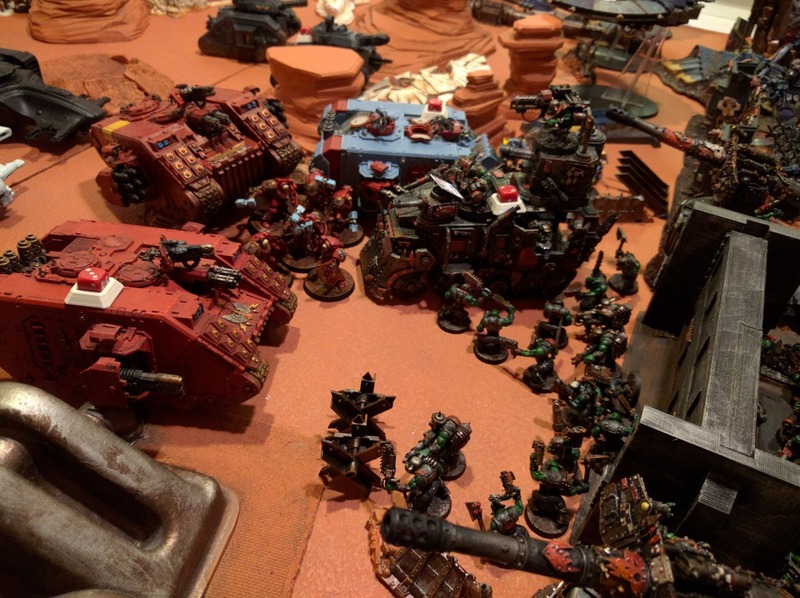 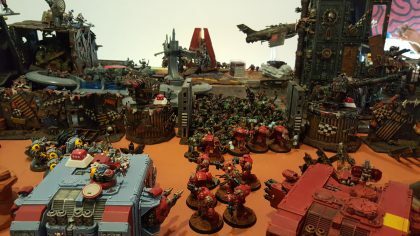 The Orks have taken control of an Imperium City and seek to defend against the Imperium forces wanting to take it back. 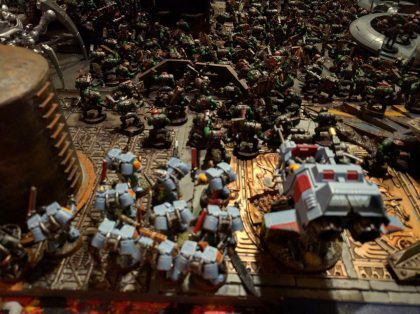 They’ve recruited the help of some Tau and Necron that were on the planet, read to rid it of the Imperium scum. 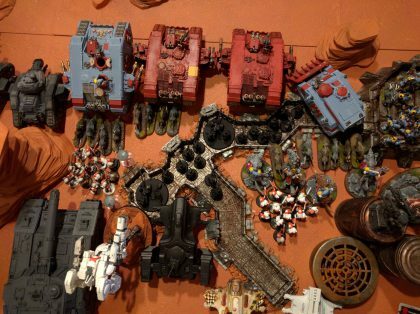 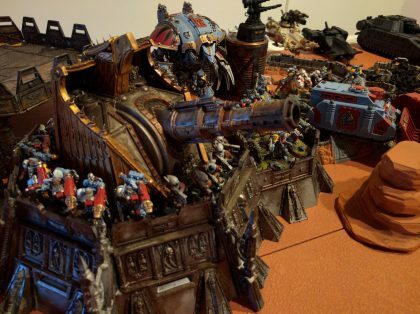 The Blood Angels and Space Wolves have landed to help the local Astra Militarum forces in taking back their stronghold. A rogue sept of Tau have decided to lend a hand in revenge against their brothers helping the Orks and forgetting the Greater Good.